After the nominated submissions were published in the Green Product Selection 2016 in May, the intense review by our fantastic expert jury startet. During the evaluation procedure each product was elaborated in the fields of design, innovation and sustainability – each field with various extra aspects. Now the final decisions were made. 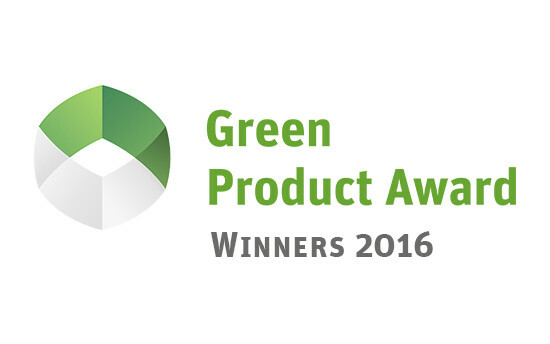 The Green Product Award Winners 2016 reach from the category “architecture” with Aqua Balance by weber SAINT-GOBAIN (Professional) and Breathing Skins (Newcomer) up to the category “research/materials” with Grano by GIROFLEX (Professional) and Corcrete by DESIGN STUDIO NIRUK (Newcomer). Best student work was LOOP - Water transport system by Marilena Hamm, University of Pforzheim. October 21st - Award Ceremony during Designers' Open(link is external) official opening event at Messe Leipzig, Germany. October 21st - 23rd - Exhibition at Designers´ Open(link is external) in cooperation with Leipzig trade fair. November 6th – 9th - Exhibtion and Sales show at Shenzhen International Industrial Design Fair(link is external), in cooperation with SIDA.